A meeting between Minister of Foreign Affairs of Turkmenistan Rashid Meredov and Ambassador Extraordinary and Plenipotentiary of Belarus Oleg Tabanyukhov has taken place in Ashgabat, the Embassy of Belarus in Ashgabat said in a statement Aug. 15. The parties discussed prospects for further expansion of cooperation in a number of areas. The parties confirmed the strategic nature of the relations between the two countries, noting their consistency and high level of cooperation, both in the bilateral format and at international venues. The results of the meeting once again demonstrated the mutual desire of Belarus and Turkmenistan to further expand multifaceted cooperation, the message says. 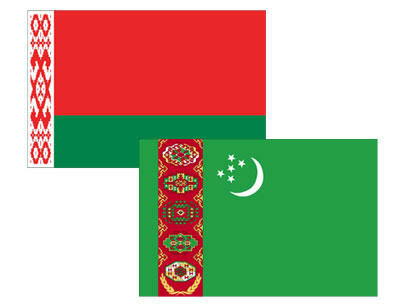 Belarus supplies to Turkmenistan mainly the goods with high added value: trucks, special-purpose vehicles, tractors, road construction equipment, medicines, wood products, agricultural products, etc. From 2009 to 2017, about 6,000 MTZ tractors and more than 10,000 MAZ trucks were delivered to Turkmenistan. A concrete example of effective cooperation is the implementation of the project of construction of the mining and processing industrial complex for the production of potash fertilizers in Lebap region of Turkmenistan. The complex worth more than $1 billion the construction of which was completed in March 2017 by Belgorkhimprom JSC company is designed for the production of 1,400,000 tons of fertilizers per year.